97% polyester/3% spandex 9 ounce full zip jacket. Wind and water resistant. Polar fleece underarms. 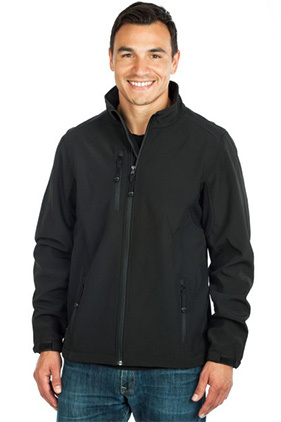 Breathable softshell has 4-way stretch, 2-way bonded fabric. Vertical zippered chest pocket & zippered side pockets, YKK zippers. Machine washable.